The performance of any Windows computer is dependent on both hardware and software. In order to know how your PC is working and avoid potential Windows critical errors, you need to benchmark the PC. However, it is not so easy to do as there is an evaluation done in hardware via software. So, you may need a benchmark software to make this task easy for you. 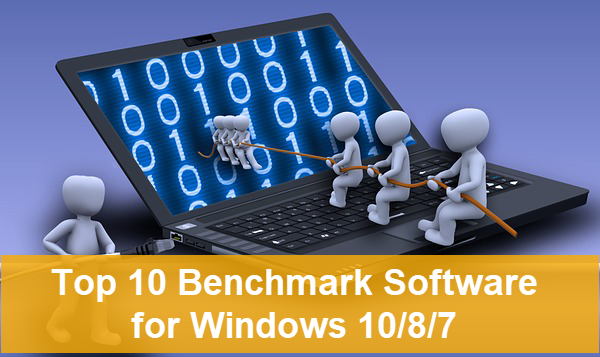 In this article, you will read about the top 10 paid or free benchmark software which you can use for your Windows PC. Before proceeding further, it is important to know about benchmarking and its necessity. As you know, computer system is a complete package of complex programs so it is not easy to compare or obtain the status of working of the device just by looking at the manual provided. For this, there is a need for optimization and evaluation which can give the correct measurement of the performance of the computer. In simple words, benchmarking is a process in which one can test the performance of the computer’s hardware through programs and codes. You can compare the results to the standard value and obtain the efficiency of the device. Pro tips: In case of critical errors on Windows, people may not only have problem booting their computers, but also lose important files. Don’t hesitate to use iReparo for PC to recover lost files from Windows 10 or other storage devices. In the world of computation, benchmarking is important to evaluate the problems and troubleshoot, then take different methods. You should be careful which benchmarking your computer. You can get the best benchmark software for your Windows computer in this article. Go through the article for details. This benchmark software is completely concerned about the specifications of the computer. Using this you can obtain all the information about the specific elements and functions of the computer like the core details, cache, speed, threads, temperature and many more. You can also go for the summary for a quick overview of the data related to CPU, RAM, Storage, Motherboard, Graphics card, Audio, Operating System and others. All the issues related to critical components of the computer are presented by analyzing through the real-time value of the temperature, core speed and threads. This will help you to implement direct ways to avoid issues and problems. You can keep these data in the form of text file, XML or snapshot by scanning the results for future reference. 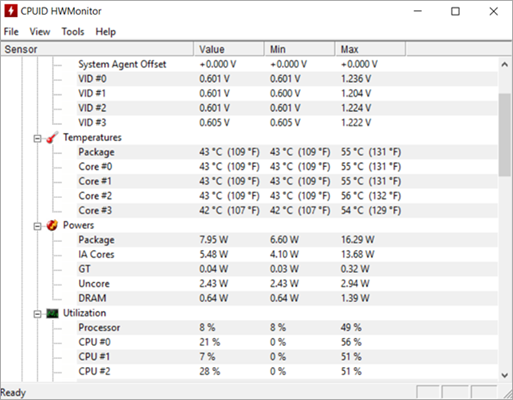 HW Monitor is a powerful optimizer and benchmark software for CPU operating on Windows. You can monitor all the hardware components of your PC using this software easily. It has powerful tools for the detection of the values of power consumption, fan speeds, clock speeds, temperature, utilization percentage and many more. By obtaining the measurement of an important parameter, you can check the health of your PC through comparison. It is featured with S.M.A.R.T and video card GPU temperature which is used to optimize the data of core thermal sensors and detect the hard drive temperature. The best part of this software is that you can use it for free and keep your PC safe by fixing the issues. If you are looking for any smarter way for benchmarking the PC, then SiSoftware Sandra is perfectly suitable for you. This is a paid benchmark software, but it will give you detailed numerical data and other values taking the specifications of your computer. It is designed to be us3d by experts and has many featured tools to monitor the PC minutely in an advanced way. This software provides all the information about CPU, chipset, memory, ports, printers, PCIe, USB2, ODBC, 1394/Firewire, Connections and many more. By comparing the details obtained with the standard value, you can easily go for the upgrades or any other tool to fix the issue. It is a very useful software for the proper maintenance of PC’s performance and keeping the records of online connections. As the name suggests, CPU-Z is mainly focused to keep the details of the main components if the CPU. You can obtain all the necessary details about the CPU components like Processor name and number, cache levels, codename and package with this benchmarking software. Apart from CPU, obtain the details about your Motherboard, graphics card, RAM and other components of the system. This software provides the user with accurate and real-time values of the memory frequency and the core’s internal frequency. Moreover, it has a simple graphical user interface and you can analyze the data obtained easily. You can scan the details and save it as a TXT file for future usage. Fraps is a popular benchmark software among gamers. You can use this software for free for your Windows PC. This software is mainly used game lover for detection of all the value of general and important parameters of a computer system. You can use this software easily and get detailed information about all the hardware components. Apart from the detection of values of the components and testing hardware, it is also used for taking screenshots and record the in-game videos. Moreover, it is also featured with tools to overclock the PC. It saves the frames per seconds (FPS) and is very quick with its results. Overall, it is an advanced software for benchmarking. CineBench is a multi-tasking software capable to do many other tasks than benchmarking. It has a superb capability to obtain all the details and descriptions of the hardware components of the computer. Moreover, this software is featured with Maxon’s Cinema 4D which make it compatible to be used in studios and production houses for 3D content creation. You can optimize and monitor CPU and graphical performance of Windows and Mac. Up to 256 processor threads are supported by this software for free. It is amazing software which comes up with the combination of cinematic and benchmark features. Its multi-platform features make it popular among other CPU benchmark tools. Here comes an open source application which can be used as a benchmark software for free and is very efficient and quick. It can quickly give the results of the parameters by running three simple tests. Within its three tests i.e., GIMP Image Editing, Handbrake h.264 video compression and LuxMark rendering, you can get all the data as the benchmark results covering all the components of the computer. If you want to compare the obtained result to other standard hardware configurations then you can easily upload the obtained data to the Real Bench website and get their benchmarked specifications. This website not only renders quick and accurate data but also gives good customer and technical support. Whatever you can expect from your benchmark software for safe benchmarking, MSI Afterburner is capable to provide all. 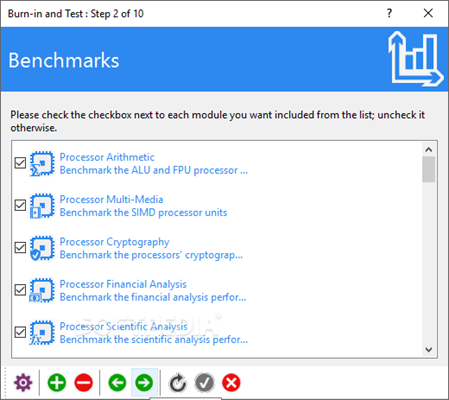 With various specializations and features, this CPU benchmark software provides all the detailed specifications of hardware components of Windows. It gives real-time values of temperature, clock speed, data usage, cache and many other with frame per second (FPS). You can see the value and compare it with any standard value on the screen easily. It is also featured with overclocking utility for the maintenance of the graphics card. You can use this software for controlling any brand of graphics card. This software is available for Windows for free. Unigine Suite is a popular PC benchmark software with advanced tools and features for maintenance of PC performance and stability. It basically tests the graphics processing unit and other processors which make it easy for the users to find the defect in it. You can use this software for free for your Windows PC. Any graphics card can be used with this benchmark software. However, there is a maximum limit of the graphics card which can be tested using this software. Overall, it is a powerful tool with advanced GPU tester and optimizer. Last but not least, FutureMark provides another high-quality software for gamers to benchmark GPU. You can download it on Steam, then take the data and make changes accordingly. You can calculate the values of overclocking and operation of the system using the values. You can easily set up your hardware correctly with the data provided by this software. 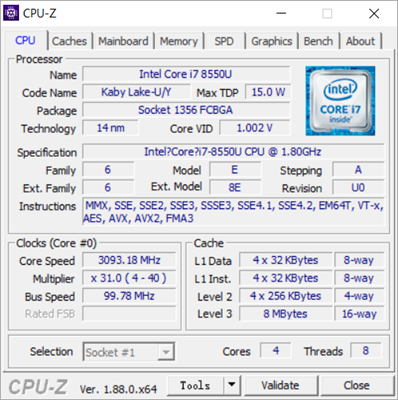 In this article, we have gone through up to 10 best benchmark software which you can use to obtain a well-optimized value of all the CPU and other components of PC. Other than free PC optimizers, benchmark tool is the most reliable method to check and troubleshoot computer issues. Furthermore, some of the tools above can also be used for other tasks apart from benchmarking. If you have any issues or questions related to article or topic, then please put in the comments below.